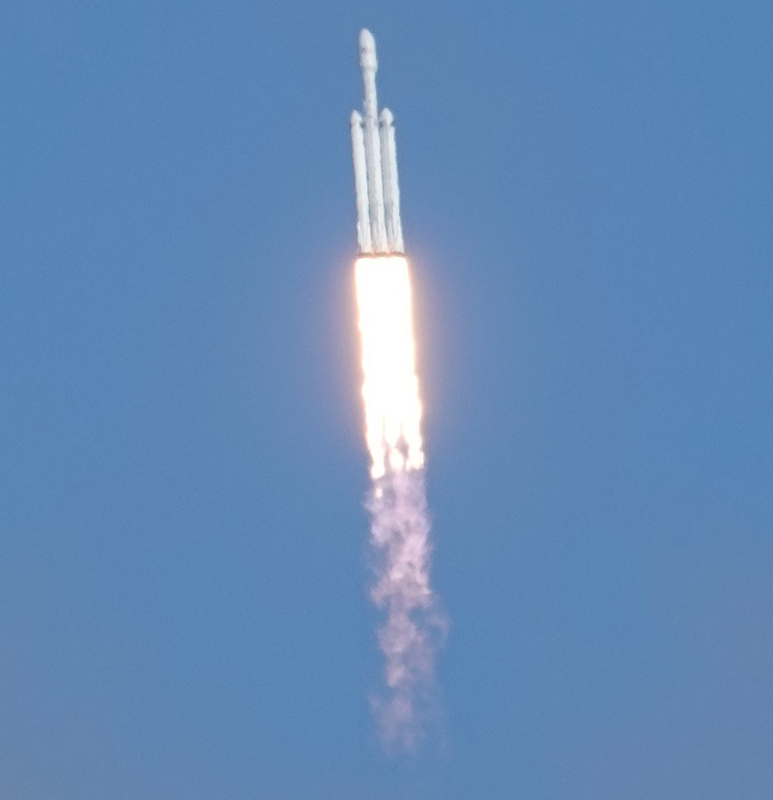 NEWS – April 11, 2019, I have to watch history – at least part of it, as SpaceX launched its second Falcon Heavy from the Kennedy Space Center at Cape Canaveral. I did this from my driveway – or more correctly, a friend's driveway down the street, which is pretty darn cool. The launch went off without a hitch and we were able to clearly see the launch from roughly 90 miles to the west. The better part is that we could also clearly see the reentry burn on the two side boosters as they stabilized prior to their freefall back to the Cape. This happened about eight minutes after launch. It is also possible to return directly to the Cape. The center booster travels too fast at separation to return to the Cape. That booster is supposed to be on land on a drone platform out in the Atlantic ocean. That was the plan last year as well, but the booster missed the platform and not only was lost but flooded and sunk the platform as well. This time, all changed as all three boosters worked out as well as perfectly designed right-in-the-center landings. 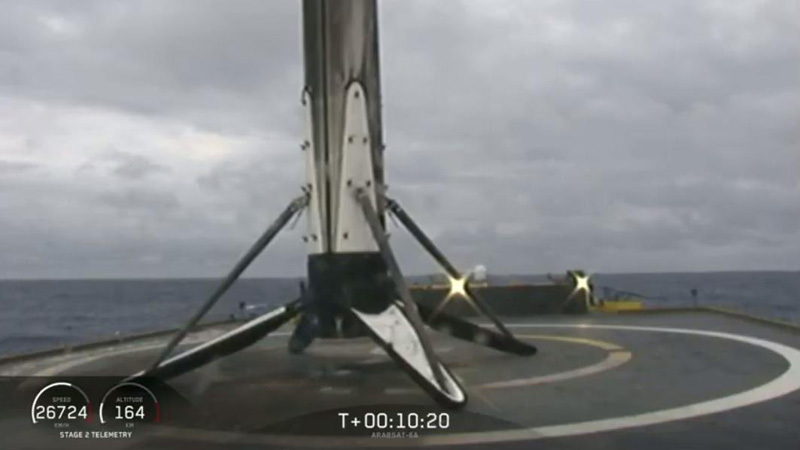 This is from SpaceX's twitter feed right after the landing, showing the main center booster on the drone platform. The tech behind all this is staggering. Thinking about controlling three objects, all weighing thousands of pounds, freefalling from space, and guiding them, essentially without a motor, and landing them all so softly that you can use them again. That's what SpaceX brought to the table tonight. The mission continued, launching the Arabsat-6A satellite into geosynchronous orbit. 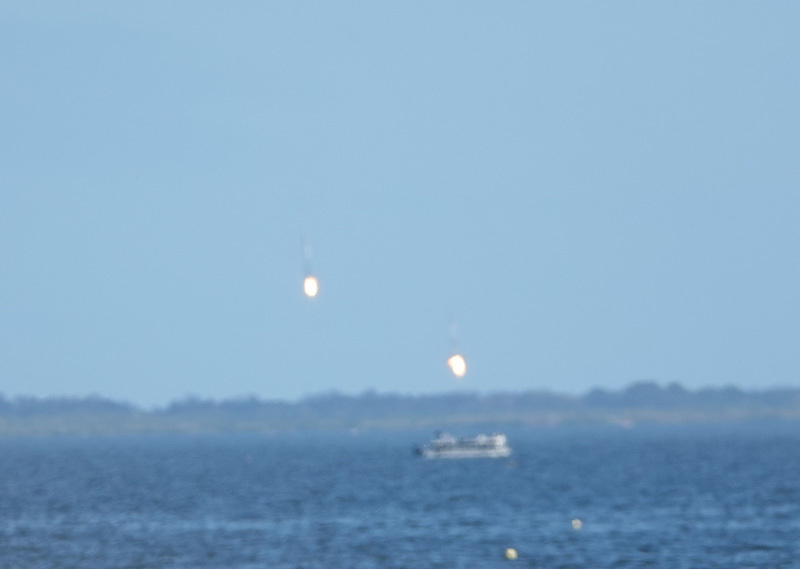 This means that SpaceX has its first commercial launch of the Falcon Heavy rocket. It's an exciting time for the US space program. Who knows how this tech will lead to other new developments? The Gadgeteer's main sources of revenue are advertising and affiliate links in articles like this one. That means we can get a small commission on purchases at no cost to you.